We now live in the Meghalayan age—the last age of the Holocene epoch. Did you get the memo? A July decision by the International Commission on Stratigraphy, which is responsible for naming geological time periods, divided the Holocene into three ages: the Greenlandian, the Northgrippian, and the Meghalayan. The one we live in—the Meghalayan age (pronounced “megalion”)—is pegged to a global drought thought to have happened some 4200 years ago. But many critics question the timing of this latest ... See More age and the global expanse of the drought. Staff writer Paul Voosen talks with host Sarah Crespi about the evidence for and against the global drought—and what it means if it’s wrong. Sarah also talks to staff writer Kelly Servick about her feature story on what happens when biocontrol goes out of control. 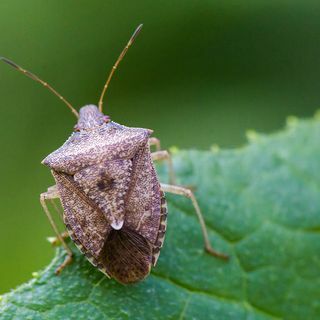 Here’s the setup: U.S. Department of Agriculture researchers wanted to know whether brown marmorated stink bugs that have invaded the United States could be controlled—aka killed—by importing their natural predators, samurai wasps, from Asia. But before they could find out, the wasps showed up anyway. Kelly discusses how using one species to combat another can go wrong—or right—and what happens when the situation outruns regulators.